 The DK Kids Encyclopedia is an electronic encyclopedia (CD-ROM).  Contains lots of engaging images and videos.  Gives users a unique interactive experience. The DK Children's Encyclopedia (for ages 8 and up) is an electronic encyclopedia which contains lots of engaging images and even videos. It contains the definitions of over 650,000 words, over 5,000 images, over 100 videos, digital maps and covers subjects such as history, geography, science, nature, culture, and more! This electronic encyclopedia also contains amazing 3D environments. This is the advantage of non-print encyclopedias: they contain more images and they contain videos and amazing 3D graphics which can really capture children's imagination and get them interested in learning. What we like about this electronic encyclopedia apart from the fact that it is very rich in information is the fact that it is also highly interactive, which makes it even more fun for kids to use. It almost feels like playing a video game, the main difference being that kids increase their knowledge while they navigate through the different sections. Make sure that you have the right operating system. The CD works smoothly with Windows 95, 98, ME, 2000, NT and XP. Many users have said that it is not compatible with Windows Vista. It only requires 40 Mb of hard drive space to install and it should be easy to install if you have the right operating system. Overall, a great way for kids to learn all while having fun going through the tons of information contained in this CD-ROM. This CD-ROM, apart from being a great learning tool, can also be used to do the homework including writing an essay or a research paper. 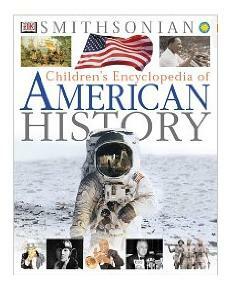 By the way for more information on encyclopedias for kids, visit our page related to encyclopedias in our guide where you will find information on print encyclopedias such as the Merriam-Webster Children's Dictionary. Our guide also has a section related to kids dictionaries.